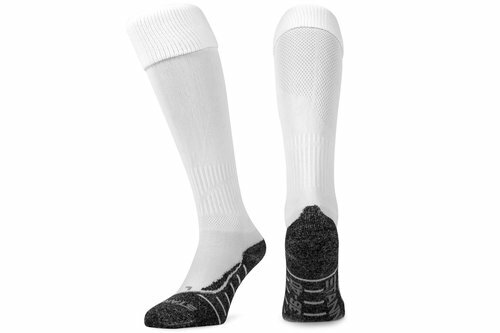 When you require a top quality technical sock then look no further than the Stanno Uni Match Socks. Featuring ClimaTec, this is a high technical fibre which offers a thermal feel to help keep your feet warm. Anatomically formed for your left and right foot, the mesh-knitted backside provides the perfect fitting and comfort whilst the reinforced heel delivers added protection. For added comfort across the foot, flat-seam stitching has also been applied and neatly finishes off the impressive design of these socks. A fresh white tone to these Stanno Uni Match Socks means they will easily complement the rest of your kit or any other sports clothing.